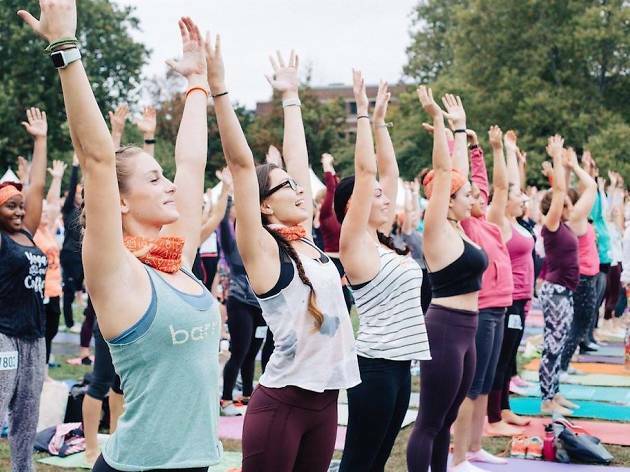 Peacefully minded yoga festival empire Wanderlust presents its latest offering at Philadelphia’s Navy Yard. 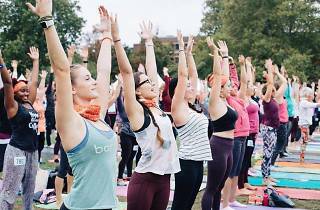 Wanderlust 108 is billed as a "mindful triathlon," which combines a 5K run or walk (9am), a massive 90-minute yoga class and dance party (11am) and a guided meditation (12:30pm). There will also be acroyoga, aerial yoga and hooping for brave souls at the Adidas-sponsored event, plus live music, retro yard games and healthy food.